Sam Nujoma Street in Harare. The economy of Zimbabwe shrunk significantly after 2000, resulting in a desperate situation for the country – widespread poverty and a 95% unemployment rate. Zimbabwe's participation from 1998 to 2002 in the war in the Democratic Republic of the Congo set the stage for this deterioration by draining the country of hundreds of millions of dollars. Hyperinflation in Zimbabwe was a major problem from about 2003 to April 2009, when the country suspended its own currency. Zimbabwe faced 231 million percent peak hyperinflation in 2008. A combination of the abandonment of the Zimbabwe dollar and a government of national unity in 2009 resulted in a period of positive economic growth for the first time in a decade. The country has reserves of metallurgical-grade chromite. Other commercial mineral deposits include coal, asbestos, copper, nickel, gold, platinum and iron ore. Since 2000, Zimbabwe has seized and forcibly redistributed most of the country's white-owned, commercial farms. The new occupants, which included black-only citizens and several prominent members of the ruling ZANU-PF administration, were usually inept, inexperienced, or uninterested in farming – thereby failing to retain the labour-intensive, highly efficient management of previous landowners. Short term gains were achieved by selling the land or equipment. The contemporary lack of agricultural expertise triggered severe export losses and negatively affected market confidence. Idle land is now being utilised by rural communities practicing subsistence farming. Production of staple foodstuffs, such as maize, has recovered accordingly – unlike typical export crops including tobacco and coffee. Zimbabwe has also sustained the 30th occurrence of recorded hyperinflation in world history. Government spending is 29.7% of GDP. State enterprises are strongly subsidized, taxes and tariffs are high. State regulation is costly to companies, starting or closing a business is slow and costly. Labour market is highly regulated, hiring a worker is cumbersome and firing a worker is difficult. By 2008 unemployment had risen to 94%. A 2014 report by the Africa Progress Panel found that, of all the African countries looked at when working out how many years it would take to double per capita GDP, Zimbabwe fared the worst, and that at its current rate of development it would take 190 years for the country to double its per capita GDP. Uncertainty around the indigenisation programme, the perceived lack of a free press, the possibility of abandoning the US dollar as official currency, and political uncertainty following the end of the government of national unity with the MDC as well as power struggles within ZANU-PF have increased concerns that the country’s economic situation could further deteriorate. In September 2016 the finance minister identified "low levels of production and the attendant trade gap, insignificant foreign direct investment and lack of access to international finance due to huge arrears" as significant causes for the poor performance of the economy. Zimbabwe has adequate internal transportation and electrical power networks, however maintenance has been neglected over several years. Poorly paved roads link the major urban and industrial centers, and rail lines managed by the National Railways of Zimbabwe tie it into an extensive central African railroad network with all its neighbours. The Zimbabwe Electricity Supply Authority is responsible for providing the country with electrical energy. Zimbabwe has two larger facilities for the generation of electrical power, the Kariba Dam (owned together with Zambia) and since 1983 by large Hwange Thermal Power Station adjacent to the Hwange coal field. However, total generation capacity does not meet the demand leading to rolling blackouts. The Hwange station is not capable of using its full capacity due to old age and maintenance neglect. In 2006, crumbling infrastructure and lack of spare parts for generators and coal mining lead to Zimbabwe importing 40% of its power - 100 megawatts from the Democratic Republic of Congo, 200 megawatts from Mozambique, up to 450 from South Africa, and 300 megawatts from Zambia. In May 2010 the country's generation power was an estimated 940MW against a peak demand of 2500MW. Use of local small scale generators is widespread. The telephone service is problematic, and new lines used to be difficult to obtain. With TelOne, however, Zimbabwe has only one fixed line service provider. Cellular phone networks are an alternative. Principal mobile phone operators are Telecel, Net*One, Econet. A chart of Zimbabwe's import and export products from 2010. Agriculture in Zimbabwe can be divided into two parts: commercial farming of crops such as cotton, tobacco, coffee, peanuts and various fruits, and subsistence farming with staple crops such as maize or wheat. Commercial farming was almost exclusively in the hands of the white minority until the controversial land redistribution program began in 2000. Land was forcibly seized from white farmers and redistributed to black settlers, justified by Mugabe on the grounds that it was meant to rectify inequalities left over from colonialism. The new owners did not have land titles, so they did not have the collateral necessary to access bank loans. The small-scale farmers also did not have experience with commercial-scale agriculture. After land redistribution, much of Zimbabwe's land went fallow and agricultural production decreased steeply. The University of Zimbabwe estimated in 2008 that between 2000 and 2007 agricultural production decreased by 51%. Production of tobacco, Zimbabwe's main export crop, decreased by 79% from 2000 to 2008. Tobacco production recovered after 2008 thanks to the contract system of agriculture and growing Chinese demand. International tobacco companies, such as British American Tobacco and China Tobacco, supplied farmers with agricultural inputs, equipment, and loans, and supervised them in growing tobacco. By 2014, tobacco production had recovered to 217 million kg, the third largest crop on record. Instead of large white-owned farms selling mostly to European and American companies, Zimbabwe's tobacco sector now consists of small black-owned farms exporting over half of the crop to China. Land reform has found considerable support in Africa and a few supporters among African-American activists, but Jesse Jackson commented during a visit to South Africa in June 2006, "Land redistribution has long been a noble goal to achieve but it has to be done in a way that minimises trauma. The process has to attract investors rather than scare them away. What is required in Zimbabwe is democratic rule, democracy is lacking in the country and that is the major cause of this economic meltdown." As other southern African countries, Zimbabwean soil is rich in raw materials, namely platinum, coal, iron ore, and gold, and lately also diamonds have been found in considerable deposits. Copper, chromite and nickel deposits also exist, though in lesser amounts. The Marange diamond fields, discovered in 2006 are thought to be among the richest in the world. In March 2011, the government of Zimbabwe implemented laws which required local ownership of mining companies; following this news, there were falls in the share prices of companies with mines in Zimbabwe. It has been reported by various NGOs that the diamond sector in Zimbabwe is rife with corruption; a November 2012 report by NGO Reap What You Sow revealed a huge lack of transparency of diamond revenues and that Zimbabwe’s elite are benefiting from the country’s diamonds. This followed former South African President Thabo Mbeki’s warning days earlier that Zimbabwe needed to stop its "predatory elite" from colluding with mining companies for their own benefit. Also in that month, the Associated Press reported that at least $2 billion worth of diamonds had been stolen from Zimbabwe’s eastern diamond fields and had enriched Mugabe’s ruling circle and various connected gem dealers and criminals. In January 2013, Zimbabwe’s mineral exports totalled $1.8 billion. As of October 2014, Metallon Corporation was Zimbabwe's largest gold miner. The group is controlled by its Chairman Mzi Khumalo. The state of education in Zimbabwe affects the development of the economy while the state of the economy can affect access and quality of teachers and education. Zimbabwe has one of Africa's highest literacy rates at over 90%. The population is usually better educated than the African average, making the people one of the greatest assets of the country. The crisis since 2000 has however diminished these achievements because of general lack of resources and the exodus of teachers and specialists (e.g. doctors, scientists, engineers) to other countries. Also, the start of the new curriculum in primary and secondary sections has drastically affected the state of the once strong state of the education sector. Zimbabwe's Second Science and Technology Policy (2012) cites sectorial policies with a focus on biotechnology, information and communication technologies (ICTs), space sciences, nanotechnology, indigenous knowledge systems, technologies yet to emerge and scientific solutions to emergent environmental challenges. The policy makes provisions for establishing a National Nanotechnology Programme. Zimbabwe has a National Biotechnology Policy which dates from 2005. Despite poor infrastructure and a lack of both human and financial resources, biotechnology research is better established in Zimbabwe than in most sub-Saharan countries, even if it tends to use primarily traditional techniques. The Second Science and Technology Policy asserts the government commitment to allocating at least 1% of GDP to research and development, focusing at least 60% of university education on developing skills in science and technology and ensuring that school pupils devote at least 30% of their time to studying science subjects. Zimbabwe's GDP annual percentage growth rate from 1980 to 2010. GDP per capita in current US dollars from 1980 to 2014. The graph compares Zimbabwe (blue ) and all of Sub-Saharan Africa's (yellow ) GDP per capita. Different periods in Zimbabwe's recent economic history such as the land reform period (pink ), hyperinflation (grey ), and the dollarization/government of national unity period (light blue ) are also highlighted. It shows that economic activity declined in Zimbabwe over the period that the land reforms took place whilst the rest of Africa rapidly overtook the country in the same period. At the time of independence, annual inflation was 5.4 percent and month-to-month inflation was 0.5 percent. Currency of Z$2, Z$5, Z$10 and Z$20 denominations were released. Roughly 95 percent of transactions used the Zimbabwean dollar. Following the Lancaster House Agreement in December 1979, the transition to majority rule in early 1980, and the lifting of sanctions, Zimbabwe enjoyed a brisk economic recovery. Real growth for 1980-1981 exceeded 20%. However, depressed foreign demand for the country's mineral exports and the onset of a drought cut sharply into the growth rate in 1982, 1983, and 1984. In 1985, the economy rebounded strongly due to a 30% jump in agricultural production. However, it slumped in 1986 to a zero growth rate and registered negative of about minus 3% in 1987, primarily because of drought and the foreign exchange crisis faced by the country. Zimbabwe's GDP grew on average by about 4.5% between 1980 and 1990. The government started crumbling when a bonus to independence war veterans was announced in 1997 (which was equal to 3 percent of GDP) followed by unexpected spending due to Zimbabwe's involvement in the Second Congo War in 1998. In 1999, the country also witnessed a drought which weakened the economy more; the economy could not recover, which ultimately led to the country's bankruptcy in the next decade. In the same year, 1999, Zimbabwe experienced its first defaults on its IMF, World Bank, and African Development Bank debts in addition to debts taken out with Western lenders. In recent years, there has been considerable economic hardship in Zimbabwe. Many western countries argue that the Government of Zimbabwe's land reform program, recurrent interference with, and intimidation of the judiciary, as well as maintenance of unrealistic price controls and exchange rates has led to a sharp drop in investor confidence. Between 2000 and December 2007, the national economy contracted by as much as 40%; inflation vaulted to over 66,000%, and there were persistent shortages of hard currency, fuel, medicine, and food. GDP per capita dropped by 40%, agricultural output dropped by 51% and industrial production dropped by 47%. The Mugabe Government attribute Zimbabwe's economic difficulties to sanctions imposed by the Western powers. It has been argued[by whom?] that the sanctions imposed by Britain, the US, and the EU have been designed to cripple the economy and the conditions of the Zimbabwean people in an attempt to overthrow President Mugabe's government. These countries on their side argue that the sanctions are targeted against Mugabe and his inner circle and some of the companies they own. Critics[who?] point to the so-called "Zimbabwe Democracy and Economic Recovery Act of 2001", signed by Bush, as an effort to undermine Zimbabwe's economy. Soon after the bill was signed, IMF cut off its resources to Zimbabwe. Financial institutions began withdrawing support for Zimbabwe. Terms of the sanctions made it such that all economic assistance would be structured in support of "democratisation, respect for human rights and the rule of law." The EU terminated its support for all projects in Zimbabwe. Because of the sanctions and US and EU foreign policy, none of Zimbabwe's debts have been cancelled as in other countries. Other observers also point out how the asset freezes by the EU on people or companies associated with Zimbabwe's Government have had significant economic and social costs to Zimbabwe. As of February 2004, Zimbabwe's foreign debt repayments ceased, resulting in compulsory suspension from the International Monetary Fund (IMF). This, and the United Nations World Food Programme stopping its food aid due to insufficient donations from the world community, has forced the government into borrowing from local sources. Official, black market, and OMIR exchange rates Jan 1, 2001 to Feb 2, 2009. Note the logarithmic scale. Zimbabwe began experiencing severe foreign exchange shortages, exacerbated by the difference between the official rate and the black market rate in 2000. In 2004 a system of auctioning scarce foreign currency for importers was introduced, which temporarily led to a slight reduction in the foreign currency crisis, but by mid-2005 foreign currency shortages were once again severe. The currency was devalued by the central bank twice, first to 9,000 to the US$, and then to 17,500 to the US$ on 20 July 2005, but at that date it was reported that that was only half the rate available on the black market. In July 2005 Zimbabwe was reported to be appealing to the South African government for US$1 billion of emergency loans, but despite regular rumours that the idea was being discussed no substantial financial support has been publicly reported. The official Zimbabwean dollar exchange rate had been frozen at Z$101,196 per U.S. dollar since early 2006, but as of 27 July 2006 the parallel (black market) rate has reached Z$550,000 per U.S. dollar. By comparison, 10 years earlier, the rate of exchange was only Z$9.13 per USD. In August 2006 the RBZ revalued the Zimbabwean Dollar by 1000 ZWD to 1 (revalued) dollar. At the same time Zimbabwe devalued the Zim Dollar by 60% against the USD. New official exchange rate revalued ZWD 250 per USD. The parallel market rate was about revalued ZWD 1,200 to 1,500 per USD (28 September 2006). In November 2006, it was announced that sometime around 1 December there would be a further devaluation and that the official exchange rate would change to revalued ZWD 750 per USD. This never materialized. However, the parallel market immediately reacted to this news with the parallel rate falling to ZWD 2,000 per USD (18 November 2006) and by year end it had fallen to ZWD 3,000 per USD. On 1 April 2007, the parallel market was asking ZWD 30,000 for $1 USD. By year end, it was down to about ZWD 2,000,000. On 18 January 2008, the Reserve Bank of Zimbabwe began to issue higher denomination ZWD bearer cheques (a banknote with an expiry date), including $10 million bearer cheques - each of which was worth less than US $1.35 (70p Sterling; 0.90 Euro) on the parallel market at the time of first issue. On 4 April 2008 the Reserve Bank of Zimbabwe introduced new $25 million and $50 million bearer cheques. At the time of first issue they were worth US$0.70 & US$1.40 on the parallel market respectively. On 1 May 2008, the RBZ announced that the dollar would be allowed to float in value subject to some conditions. On 6 May 2008, the RBZ issued new $100 million and $250 million bearer cheques. At the date of first issue the $250 million bearer cheque was worth approximately US$1.30 on the parallel market. On 15 May 2008, a new $500 million bearer cheque was issued by the RBZ. At time of first issue it was worth US$1.93. In a widely unreported parallel move, on 15 May 2008, the RBZ issued three "special agro-cheques" with face values $5 billion (at time of first issue - $19.30), $25 billion ($96.50) & $50 billion ($193). It is further reported that the new agro-cheques can be used to buy any goods and services like the bearer cheques. On 30 July 2008, the Governor of the RBZ, Gideon Gono announced that the Zimbabwe dollar would be redenominated by removing 10 zeroes, with effect from 1 August 2008. ZWD10billion became 1 dollar after the redenomination. On February 2, 2009 a final denomination was implemented, cutting 12 zeroes, before the Zimbabwe dollar was officially abandoned on April 12, 2009. Pending economic recovery, Zimbabwe relied on foreign currency rather than introducing a new currency. In February 2009, the newly installed national unity government (which included the opposition to Mugabe) allowed foreign currency transactions throughout the economy as a measure to stimulate the economy and end inflation. The Zimbabwean dollar quickly lost all credibility, and by April 2009, the Zimbabwean dollar was suspended entirely, to be replaced by the US dollar in government transactions. In 2014 there were eight legal currencies - US dollar, South African rand, Botswana pula, British pound sterling, Australian dollar, Chinese yuan, Indian rupee and Japanese yen. Reduced taxation and financial transparency, as people continued to keep their money out of the formal banking system. Extremely high real interest rates due to lack of capital. Government forced into a "pay as you go" system, unable to spend more than it takes in. Deficits of coinage for everyday transactions, leading to the adoption of South African rand coins, sweets, airtime for mobile phones or even condoms for small change. Counterfeiting currencies with which Zimbabweans are not familiar. In January, 2013 Finance Minister Tendai Biti announced that Zimbabwe's national public account held just $217. The election budget for the July 2013 presidential election was $104 million and government budget for 2013 was $3.09 billion at a projected economic growth of 5 per cent. The Economist described the 2013 election as "rigged" and how, after regaining full control of the government, the Mugabe government doubled the civil service and embarked on "...misrule and dazzling corruption." In August 2014, Zimbabwe began selling treasury bills and bonds to pay public sector salaries that have been delayed as GDP growth weakens while the economy experiences deflation. US$2 million was sold in July through private placements of Six-month Treasury bills at an interest rate of 9.5%. According to IMF data, GDP growth was forecast to be 3.1% by the end of 2014, a major decline from an average rate of 10% between 2009 and 2012, while government data showed that consumer prices declined for five consecutive months by the end of June. By mid-2016, the net benefits of dollarisation seemed to have run out, leading to protests and political instability. In response to the negative long term economic situation the three parliamentary parties agreed on a Government of National Unity. Despite serious internal differences this government made some important decisions that improved the general economic situation, first of all the suspension of the national currency, the Zimbabwean Dollar, in April 2009. That stopped hyperinflation and made normal forms of business possible again, by using foreign currency such as the US American Dollar, the South African Rand, the EUs Euro or the Botswana Pula. The former finance minister Tendai Biti (MDC-T) tried to hold a disciplined budget. In 2009 Zimbabwe recorded a period of economic growth for the first time in a decade. Following ZANU-PF's landslide electoral victory in the 2013 general elections, Patrick Chinamasa was appointed finance minister. Policies encouraging the indigenisation of the economy were fast tracked and laws requiring that 51% or more of non-black Zimbabwean owned companies had to be handed over to black Zimbabweans were implemented. This has been credited with creating further uncertainty in the economy and negatively impacting investment climate in the country. Although legislation dealing with the indigenisation of the Zimbabwean economy has been in development since 2007 and actively initiated by ZANU-PF in 2010 the policy has continued to be accused of being unclear and a form of "racketeering by regulation." The government doubled the civil service and embarked on what the Economist described as "...misrule and dazzling corruption." In April 2014, Chinamasa admitted that the country was heavily in debt and that the country needed to better attract foreign direct investment. Officially Zimbabwe's debt is $7 billion, or over 200% of the country's GDP. However, this figure is disputed, with figures as high as $11 billion being quoted, once debts to other African countries and China are included. As of May 2014, it has been reported that Zimbabwe's economy was in decline following the period of relative economic stability during the Government of National Unity. It is estimated that Zimbabwe's manufacturing sector requires an investment of roughly US$8 billion for working capital and equipment upgrades. In 2016 Tendai Biti, an opposition politician estimated the government was running a deficit of up to 12% of GDP and Zimbabwe began experiencing a significant shortage of US dollars partly due to a consistent trade deficit. This prompted the Zimbabwean government to limit cash withdrawals from banks and change exchange-control regulations in order to try to promote exports and reduce the currency shortage. In June and July 2016, after Government employees had not been paid for weeks, police had set up road blocks to coerce money out of tourists and there were protests throughout Zimbabwe, Patrick Chinamasa, the finance minister, toured Europe in an effort to raise investment capital and loans, admitting "Right now we have nothing." In August 2016 the government announced that it would be laying off 25,000 civil servants (8% of the country's 298,000 civil servants), cut the number of embassies and diplomatic expenses and cut ministerial expenses in an attempt to save $4 billion in annual wages and secure help from the World Bank and the IMF. At the same time, the government sought to improve women's access to microfinance via the Zimbabwe Women Microfinance Bank Limited, which began operations 29 May 2018. The Bank operates under the supervision of the Ministry of Women’s Affairs, Gender and Community Development. Poverty and unemployment are both endemic in Zimbabwe, driven by the shrinking economy and hyper-inflation. Poverty rates in 2007 were nearly 80%, while the unemployment rate in 2009 was ranked as the world's largest, at 95%. As of January 2006, the official poverty line was ZWD 17,200 per month (US$202). However, as of July 2008 this had risen to ZWD 13 per month (US $41.00). Most general labourers are paid under ZWD 200 Billion (US 60c) per month. A nurse's salary in September was Z$12,542 (12 US cents), less than the cost of a soft drink. The lowest 10% of Zimbabwe's population represent 1.97% of the economy, while the highest 10% make 40.42%. (1995). The current account balance of the country is negative, standing at around US -$517 million. The negative economic environment since the year 2000 has also impacted Zimbabwean entrepreneurs with a large number of them going bankrupt between 2000 and 2014. The 2007 Empowerment Bill to increase local ownership of economy was drafted for presentation to parliament in July 2007. It was signed into law by President Mugabe on 7 March 2008. The law requires all White or foreign owned business to hand over 51 percent of their business to indigenous Zimbabweans. Many economists predict this will plunge the country into deeper economic woes In response to inflation the government has introduced price controls, but enforcement has been largely unsuccessful. Police have been sent in to enforce requirements that shopkeepers sell goods at a loss. This has resulted in hundreds of shop owners being arrested under accusations of not having lowered prices enough. Because of this, basic goods no longer appear on supermarket shelves and the supply of petrol is limited. This has diminished public transport. This has not been a significant problem during the term of Reid. However, goods can usually be purchased for a high rate on the black market. In January 2010, Finance Minister Tendai Biti announced that Zimbabwe would seek highly indebted poor country (HIPC) status in order to cancel the country's $6 billion debt. Despite criticism from some government officials and economists, Biti stated that, among other strategies considered, seeking HIPC status was the best option. In addition to debt forgiveness, HIPC status (which is attained from the International Monetary Fund (IMF) and World Bank) would also allow Zimbabwe access to World Bank resources and loans through the IMF’s Poverty Reduction and Growth Facility. ^ "World Bank forecasts for Zimbabwe, June 2018 (p. 154)" (PDF). World Bank. Retrieved 6 September 2018. ^ "The Zimbabwe Situation". The Zimbabwe Situation. 2008-07-16. Retrieved 2010-05-30. ^ "Zimbabwe unemployment 11%". AFP. 2009-01-29. Retrieved 2009-04-25. ^ "Zim unemployment soars to 94%". News 24. 29 January 2009. Retrieved 20 October 2014. ^ "Ease of Doing Business in Zimbabwe". Doingbusiness.org. Retrieved 2017-01-23. ^ "Export Partners of Zimbabwe". CIA World Factbook. Retrieved 21 March 2018. ^ "Import Partners of Zimbabwe". CIA World Factbook. 2015. Retrieved 26 July 2016. ^ "External debt stocks, total (DOD, current US$)". World Bank. Retrieved 24 May 2016. ^ "The Zimbabwe Situation". The Zimbabwe Situation. Retrieved 2010-05-30. ^ a b "Zimbabwe 2017 Budget highlights". News 24. 6 December 2016. Retrieved 24 February 2017. ^ a b "Mail & Guardian - Zim unemployment skyrockets". Mail & Guardian. 30 January 2009. Retrieved 2009-01-30. ^ "Southern African Development Community :: Zimbabwe". www.sadc.int. Retrieved 31 August 2018. ^ a b c Koech, Janet (2011). Hyperinflation in Zimbabwe (PDF) (Report). Federal Reserve Bank of Dallas. ^ "Zimbabwe". Heritage. Retrieved 2010-05-30. ^ Mangena, Fainos (March 2014). "Professor" (PDF). The Journal of Pan African Studies. 6 (8): 78. Retrieved 2014-08-13. ^ "Fish, Grain and Money: Financing Africa's Green and Blue Revolutions" (PDF). Africa Progress Panel. 2014. Retrieved 12 November 2014. ^ Mungai, Christine (5 November 2014). "Bad news: It could take Zimbabwe 190 years to double incomes and Kenya, Senegal 60 on present form". Mail & Guardian Africa. Archived from the original on 2014-11-12. Retrieved 12 November 2014. ^ Jones, Gillian (8 January 2014). "SA at top of wealth list for Africa, Zimbabwe near bottom". Business Day. Retrieved 12 November 2014. ^ a b "Mid-term report reveals deep crisis". The Financial Gazette. 9 September 2016. Retrieved 12 September 2016. 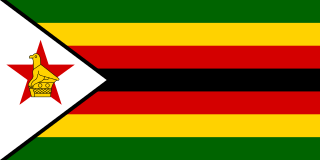 ^ a b "Zimbabwe Mobile Operators & Fixed Network Operators list (Africa mobile and fixed network operators)". www.africantelecomsnews.com. Retrieved 2018-06-08. ^ "Our Network | Telone". www.telone.co.zw. Retrieved 2018-06-08. ^ Sithole-Matarise, Emelia. "Ululations, tears as white Zimbabwean farmer returns to seized land". U.S. Retrieved 2018-06-08. ^ Mambondiyani, Andrew (20 July 2016). "Bank loans beyond reach for Zimbabwe farmers without land titles". Reuters. ^ Thornycroft, Peta (13 July 2015). "Zimbabwe to hand back land to some white farmers". The Telegraph. ^ a b "Tobacco in Zimbabwe". Issues in the Global Tobacco Economy. Food and Agriculture Organization of the United Nations. 2003. ^ Marawanyika, Godfrey (4 November 2013). "Mugabe Makes Zimbabwe's Tobacco Farmers Land Grab Winners". Bloomberg. ^ Latham, Brian (30 November 2011). "Mugabe's Seized Farms Boost Profits at British American Tobacco". Bloomberg. ^ a b Machingura, Gretinah (July 10, 2016). "Partnering Chinese, Zimbabwe tobacco farmers embark on road to success". Xinhua. ^ "China gets lion's share of tobacco exports". NewsDay Zimbabwe. 4 May 2015. ^ "Farrakhan backs Zimbabwe land grab". BBC News. 13 July 2002. ^ Jesse Jackson lambastes Mugabe, SA banks, June 20, 2006. Zimbabwe Situation. ^ Zimbabwe in Platinum Today, Johnson and Matthey. Accessed 12. Jan 2011. ^ "Implats, Aquarius fall on Zimbabwe indigenisation news". Mining Journal. Archived from the original on 2011-04-04. Retrieved 2011-03-30. ^ "Zimbabwe's 2015 gold output seen at highest in 11 years". Reuters. 14 October 2015. Retrieved 11 September 2016. ^ "Terms of Service Violation". www.bloomberg.com. Retrieved 31 August 2018. ^ a b c UNESCO Science Report: towards 2030 (PDF). Paris: UNESCO. 2015. pp. 562–563. ISBN 978-92-3-100129-1. ^ a b c "World Development Indicators". World Bank. Retrieved January 6, 2012. ^ Steenkamp, Philip John; Rodney Dobell (1994). Public Management in a Borderless Economy. p. 664. ^ "Govt seeks new World Bank, IMF loans". New Zimbabwe. 15 October 2015. Retrieved 18 October 2015. ^ Fri Mar 6 13:51:09 2009 (2009-03-06). "Zimbabwe: Sanctions – Neither Smart Nor Targeted". Allafrica.com. Retrieved 2010-05-30. ^ "Zimbabwe sanctions: are they political or economic?". Newzimbabwe.com. Archived from the original on 2010-04-07. Retrieved 2010-05-30. ^ "The Zimbabwe Situation". The Zimbabwe Situation. Archived from the original on 2010-03-10. Retrieved 2010-05-30. ^ "Fear and hope mingle as Harare awaits election results". www.thetimes.co.za. 6 April 2008. Retrieved 2008-04-08. ^ "Zimbabwe's new $250m note". www.thetimes.co.za. 6 May 2008. Archived from the original on 7 May 2008. Retrieved 2008-05-08. ^ "Zimbabwe introduces new high denomination notes". http://www.afriquenligne.fr. 6 May 2008. Archived from the original on 18 April 2012. Retrieved 2008-05-08. ^ "Introducing the new Zim note..." http://www.iol.co.za. 15 May 2008. Retrieved 2008-05-08. ^ "RBZ Issues Agro Cheques". http://allafrica.com. 21 May 2008. Retrieved 2008-06-02. ^ "Zimbabwe introduces new currency". BBC. 30 July 2008. Retrieved 2008-07-30. ^ "Zimbabwe Dollar". OANDA. Retrieved 2017-04-09. ^ a b c d e f "Bailing out bandits". The Economist. 420 (8997). 2016-07-09. pp. 43–44. ISSN 0013-0613. Retrieved 2016-07-08. ^ "Zimbabwe 'had $217 in account'". 31 August 2018. Retrieved 31 August 2018 – via www.bbc.com. ^ "Indigenisation now a mess". The Zimbabwe Independent. 23 May 2014. Retrieved 25 May 2014. ^ "Debt overhang deters funding . . . as Govt plots strategies to attract investors". The Herald. 24 April 2014. Retrieved 21 May 2014. ^ Yamamoto, Ken (13 May 2014). "Disempowerment of blacks by blacks (Part1)". New Zimbabwe. Retrieved 21 May 2014. ^ Majaka, Ndakaziva (20 May 2014). "Zimbabwe's economic collapse alarms business". Daily News Live. Retrieved 21 May 2014. ^ a b "Zimbabwe threatens to cancel licenses | IOL". www.iol.co.za. Retrieved 2016-06-08. ^ Vasilogambros, Matt. "Zimbabwe's Own U.S. Dollar Bills". The Atlantic. Retrieved 2016-06-08. ^ Raath, Jan (2016-09-09). "Mugabe fires 25,000 state workers". The Times. Retrieved 2016-09-09. ^ a b "Zimbabwe: Women's Bank Finally Commences Operations". 263Chat (Harare). 2018-06-07. Retrieved 2018-06-08. ^ "Zim Women's Microfinance Bank opens | ZBC News Online". www.zbc.co.zw. Retrieved 2018-06-08. ^ a b "How to stay alive when it all runs out". The Economist. 12 July 2007. Retrieved 2007-07-18. ^ "The World Factbook". US Central Intelligence Agency. 2016. Retrieved 2016-09-09. ^ Matibe, Phil (2008-07-17). "The Zimbabwe Situation". The Zimbabwe Situation. Retrieved 2010-05-30. ^ "Zimbabwe tycoons sink into oblivion". Zimbabwe Situation. The Zimbabwe Independent. 27 March 2015. Retrieved 30 March 2015. ^ "The Thibodaux Daily Comet | Thibodaux, LA". DailyComet.com. 2007-07-01. Retrieved 2010-05-30. ^ "Zimbabwe split over $5.7 billion debt plan". The National. March 21, 2010. ^ "Zimbabwe seeks HIPC status for debt relief: minister". Reuters Africa. January 18, 2010. ^ Croft, Adrian (September 26, 2009). "Zimbabwe should seek HIPC debt relief, minister says". Reuters. The economy of Lebanon is generally classified as a developing economy. The nominal GDP was estimated $54.1 billions in 2018, with a per capita GDP amounting to $12,000. Government spending amounted to $15.9 billion in 2018, or 23% of GDP. Gideon Gono was the Governor of the Reserve Bank of Zimbabwe (RBZ) from 2003 to 2013 and is the former CEO of the Jewel Bank, formerly known as the Commercial Bank of Zimbabwe. China and Zimbabwe have had a close, but chequered, relationship since the latter's independence. The Economic History of Zimbabwe began with the transition to majority rule in 1980 and Britain's ceremonial granting of independence. The new government under Prime Minister Robert Mugabe promoted socialism, partially relying on international aid. The new regime inherited one of the most structurally developed economies and effective state systems in Africa. In 2000, the government imposed a land reform program to seize white-owned farms which caused the economy to shrink along with mismanagement, corruption and political instability. Hyperinflation in Zimbabwe was a period of currency instability in Zimbabwe that began in the late 1990s shortly after the confiscation of private farms from landowners towards the end of Zimbabwean involvement in the Second Congo War. During the height of inflation from 2008 to 2009, it was difficult to measure Zimbabwe's hyperinflation because the government of Zimbabwe stopped filing official inflation statistics. However, Zimbabwe's peak month of inflation is estimated at 179.6 billion percent in mid-November 2008. The paper money of Zimbabwe were physical forms of Zimbabwe's four incarnations of the dollar from 1980 to 2009. The banknotes of the first dollar replaced those of the Rhodesian dollar at par in 1980 following the proclamation of independence. The Reserve Bank of Zimbabwe issued most of the banknotes and other types of currency notes in its history, including the Bearer cheques and Agro cheques that circulated between 15 September 2003 and 31 December 2008: the Standard Chartered Bank also issued their own emergency cheques from 2003 to 2004. The Zimbabwean dollar was the official currency of Zimbabwe from 1980 to 12 April 2009. During this time, it was subject to periods of above-average inflation, followed by a period of hyperinflation. The Reserve Bank of Zimbabwe began to release Zimbabwean bond coins on 18 December 2014. The coins are supported by a US$50 million facility extended to the Reserve Bank of Zimbabwe by Afrexim Bank. To date coins worth US$15 million have been struck out of the total fifty million dollars available. The coins are denominated at 1, 5, 10, and 25 cents and are pegged to the corresponding values in United States currency. A 50 cents bond coin was finally released in March 2015. Zimbabwean Bonds are a form of legal tender near money released by the Reserve Bank of Zimbabwe which attempts to resolve Zimbabwe's lack of currency. Bonds are pegged against the U.S. dollar at a 1:1 fixed exchange rate and backed by the country's reserve. Since abandoning the Zimbabwean dollar in 2009 after it went into hyperinflation the country began using a number of foreign currencies including the U.S. dollar, South African rand, British pound and Chinese yuan as a means of exchange. The inability to print these currencies led to a shortage of money with banks issuing limits on withdrawals.